This is your full service accent tiles website. There is over 400 different themes and motifs offered on the website. 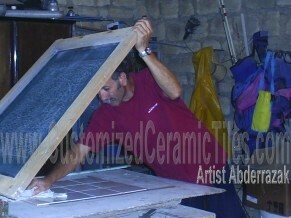 Tiles are available for a variety of uses, indoor and outdoor. We offer a variety of designs that can be resized and ordered in a few click. Quotes estimator for enlarging existing designs is available in the website. Tell us your idea. We will hand design it! If you need help to have your own decorating idea hand designed on tiles, please do not hesitate to email us requesting a quote. Please be specific about the dimensions, where the project is being shipped to, and with what you want hand designed. Please attach the necessary images and/or sketches to explain your project. Large or small, custom project average delivery time is of three weeks.